Shine, divine light, over Mathias Worbin and the bagatelle "Gitarren väntar på sina ackord" . Please accept "Living My Life" by Emma Goldman, as Guildish appreciation. Per annum, hallowed be thou, Julien Mercier	. Hallowed be also thy poetical achivements and "Impious" in particular. "Selected Poems 1908-69" by Ezra Pound will fly to you, like a white dove, loaded with Guildish appreciation to shine over you and your creative mind. Jeremy	is awarded the premium premium: "Gödel, Escher, Bach: An Eternal Golden Braid" by Douglas Hofstadter, especially for the poem "my chest is burning" . 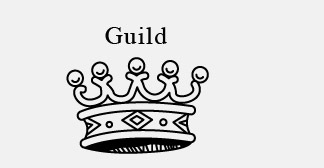 We welcome you to the Guild with our uttermost sincere proof of Guildish appreciation. All three writers have earned lifetime membership of the Strindberg Guild	. Apart from the good news we also have some bad news to deliver: Berty Dastard has been expelled from the International High IQ Society, despite his extra ordinary achievements. We pity their decision, but have underline, at the same time: at the Strindberg Project, anyone can write what ever they want. If you are lucky your work will render Guildship and premium!